In a Kodu world, you can detect when the micro:bit is tilted and make something appropriate happen. 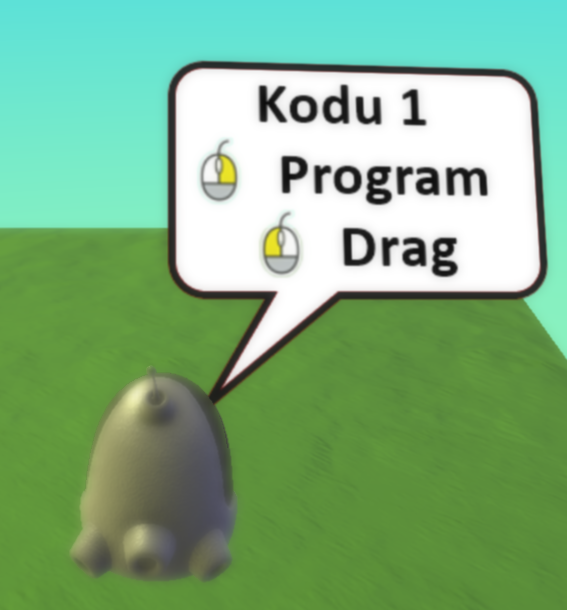 This page describes how to set up the very simplest of Kodu worlds where you use the accelerometer readings to make the Kodu character move. Start Kodu Game Lab and make a new world to act as a test environment for you. Click on the character to be move it into position somewhere over the terrain of your world. Use the left mouse button to drag the character into position. 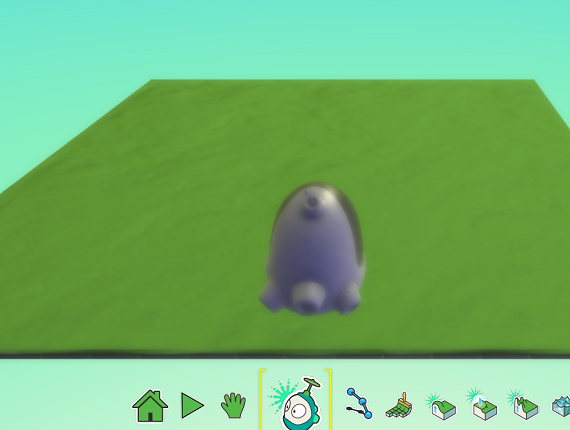 Click with the right mouse button on Kodu to program interactions. Choose Program from the menu of options. That is all that you need to use be able to move the Kodu character by tilting the micro:bit. Now that you are using the orientation of the micro:bit to control movement, you have freed up the A and B buttons to be used for something else. Perhaps they might be used for firing blips. You could edit an existing world, or follow a tutorial to make one, adding this approach to moving the character.